I've dreamed about a Vitamix for more than ten years, and here it is sitting on the worktop of my kitchen....Finally !!!! I still can't believe I could save enough money to purchase one. Look how beautiful it is !!!!! Can it really do all the things you saw on other blogs ? YES it can. Everything you read is true. From silky smooth smoothies, to piping hot raw soups, going through coconut butter, dips, sauces.....you name it, the Vitamix does it perfectly with no effort. This is why I will not repeat what has already been written everywhere on the web. I'd rather talk about those little unsaid things and my own very short experience. - Vitamix will pulverise seeds from raspberries, grapes, strawberries... to make silky smooth smoothies. Depends on how picky you are because what nobody says it's that you can still feel those pulverized seeds as a sandy texture in the smoothies. Seeds are so hard, it's impossible not to feel them. Having said that, no blender can do the job better than the Vitamix, just be warned that those smoothies are not as smooth as the ones without seeds. -You can make icing sugar from granulated or caster sugar in a flash. The only thing is, the bottom of your container will be clouded/frosted by the micro scratches after the first batch. 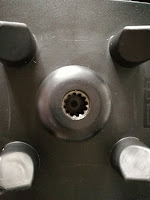 - And after a few uses, you'll find deep marks on the base of the machine where the container sits. Those details are not very important since they don't affect the way the machine works, but it's good to know what to expect. 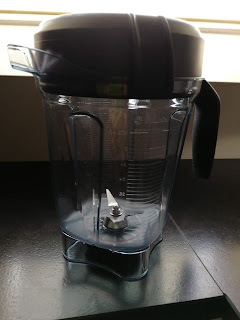 - In Europe, before buying a Vitamix, bear in mind that Vitamix doesn't do international warranty. 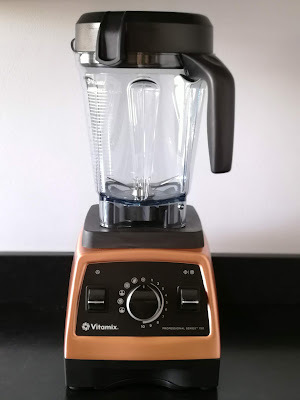 Make sure you buy it from an official Vitamix retailer. You can find a local distributor on the Vitamix main website, drop them an email asking for a list of the official retailers in your country and they'll help you out. When my Pro 750 first came I was very keen to try some of the recipes I saw online. I was delighted with the result until the lid started leaking. It was always the same pattern, liquid starts to go up at the handle passes the flange, travels around and overflows . 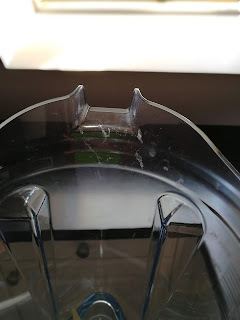 I contacted Vitamix France customer service who told me it could happen when the parts are washed in a dishwasher because of the heat....except that I don't have a dishwasher. I carefully wash all the parts by hand. At this point I was a bit worried because I haven't used it that much. After several emails exchange, as part of the warranty they sent me a new container which arrived two weeks after my first email. 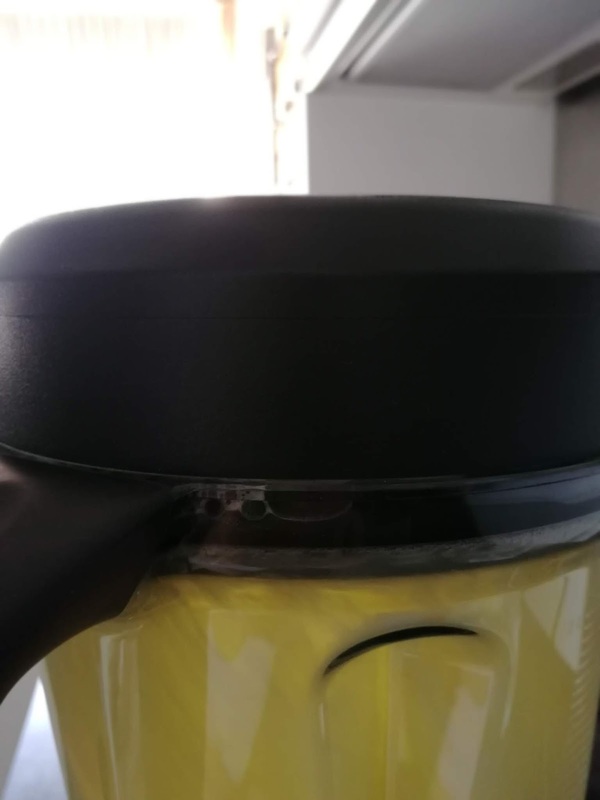 Unfortunately after having used the new container only twice (to make raw soup and a pineapple smoothie), I noticed weird stains have appeared. It's impossible to clean them. I tried vinegar, lemon, it's as if it's part of the container. I can't feel them with my hand, the plastic is perfectly smooth on the inside and outside. It's like they're part of the plastic. I have no idea what has caused this or were they already there and I didn't notice ? So I contacted customer service again sending them some pictures. They didn't bother answering my email this time. I suppose it's because the problem is only aesthetic but still.... for such an expensive machine it's disappointing. Despite the leak and the stains problems that have spoilt the magic of having such a great blender, it's still a fantastic machine that blends everything to perfection. If I was to do it again though, I would probably go for the Ascent. It seems they corrected the design at the top of the container and the lid.